You’ve set up a Twitter account and have started tweeting – but how do you change from that ugly egg shell to something more personal? 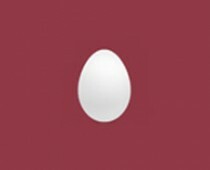 That colored egg is your twitter profile picture and it’s what you get by default. Login to your Twitter account and click the Profile link at the top of the page. This takes you to your Settings page and you should be on the Profile tab. You’ll see your current picture at the top, and a button to Choose File – this is where you choose a new picture. Before you click that button, notice that your Twitter Profile Picture is square. You’ll need a picture that will look right in a square box. Browse other Twitter profiles to see what people use for pictures and to get an idea of the type of picture you want. Ready? Ok, click that button and select your picture from your computer. Now click the Save button at the bottom of your Twitter Profile page – you’re done! Picture doesn’t look right or you want a different picture? Just follow the steps again to replace the current Twitter Profile Picture. We’re an IT consulting company based out of Coquitlam, BC. We offer computer and network support to small businesses of 2 to 25 computers. Be the first to comment on "How to Change Your Twitter Profile Picture"